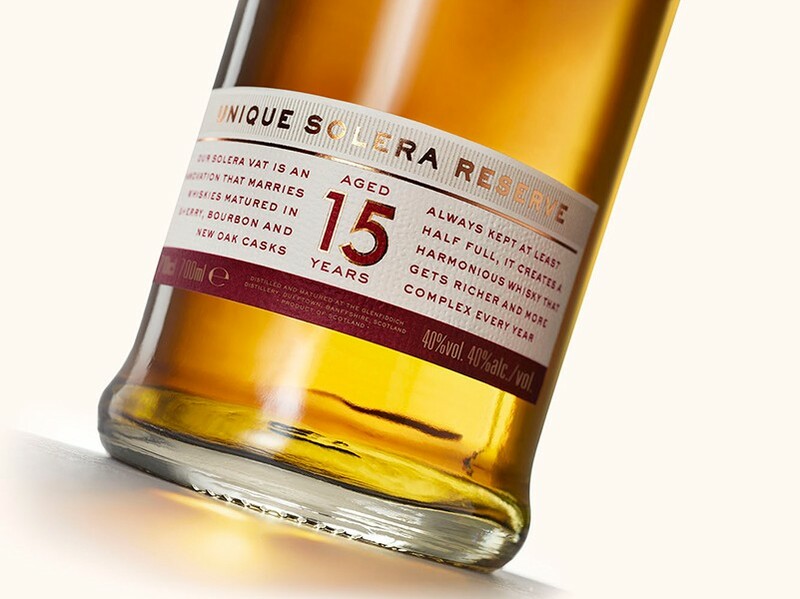 Solera Reserve is wonderfully smooth with a great depth of flavour Intriguingly complex aroma with sweet heather honey and vanilla fudge combined with rich dark fruits. satiny smooth revealing layers sherry oak marzipan cinnamon and ginger. 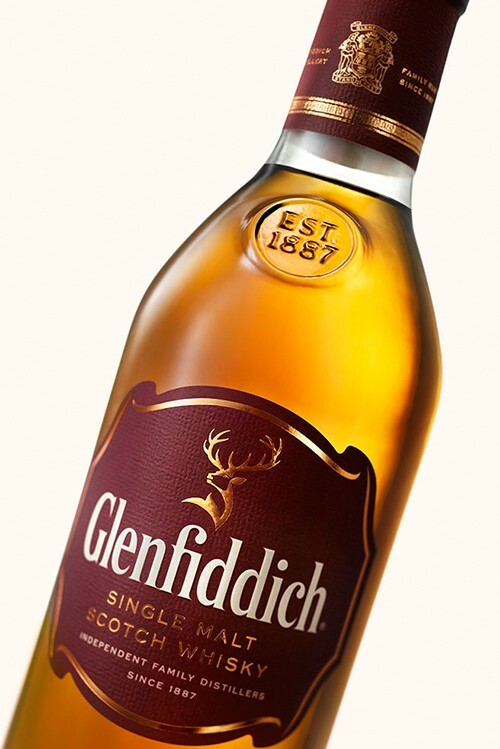 The Glenfiddich Solera system is unique amongst Scotch whisky distillers. 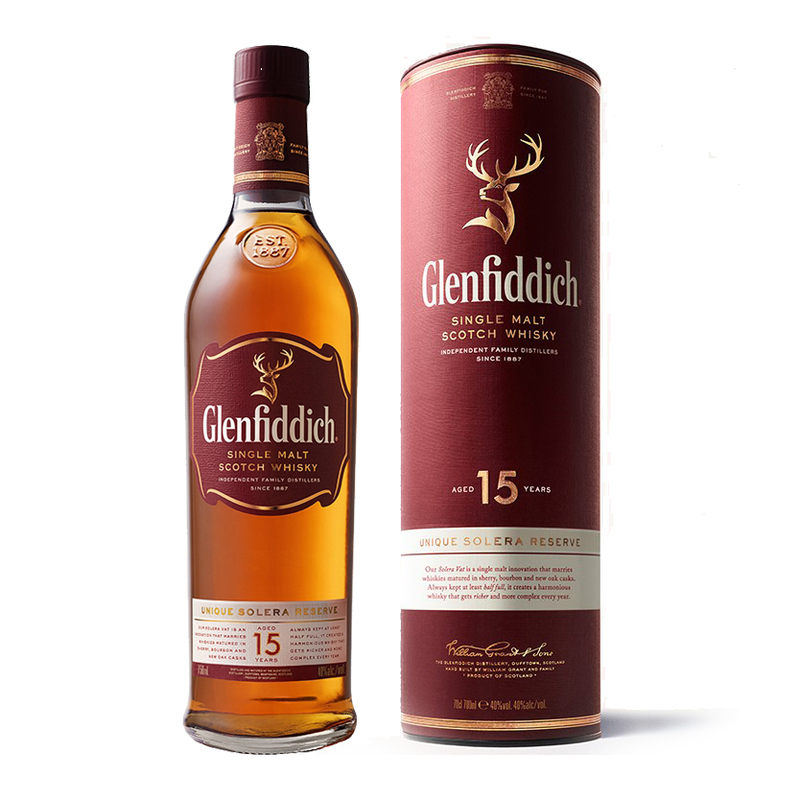 Fifteen-year-old Glenfiddich from three types of casks (traditional American bourbon Portuguese sherry and new oak)is married in a large Solera vat made of Oregon pine. The vat is always kept at least half full ensuring a consistent quality of whisky is maintained whenever it is topped up.